This book has nailed the web designers who are seeking to overcome the infirmities of CSS and want to build more advanced and modern websites. This will help you to generate and customize your website more impressively with the Less version 2 . this book is not only beneficial for the students who are learning but also for the experienced web developers in brushing up their skills for Cascading Style Sheets. 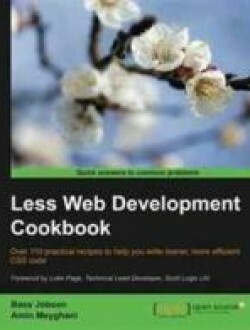 To make your CSS code more readable, Reusable and maintainable this book will help you and guide you about the integration of Less for improving the efficiency of your web projects. This book includes 110 practical tips for you to develop more efficient websites through the extensions of Cascading Style Sheets including the mixins, functions and variables.